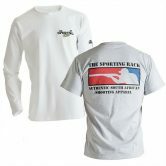 Welcome to The Sporting Rack where in the near future all your Shooting and Hunting accessories will be available. 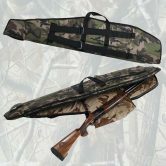 Currently we are offering a made to order service with regards to all your shooting jackets and gun bags/slips. We cater for individual requests as well as team requests. We will personalise your jacket/gun bag in your individual/team colours, styles and wants. We further offer the service of branding your teams with your club/team badges, personal names, flags and personal logo’s. 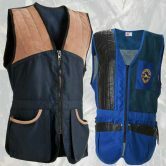 Our embroidery service is versatile and of a high standard. 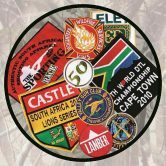 We stock a wide range of “off the shelf” jackets and gun bags/slips which are Proudly SA. 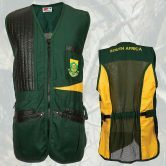 All our items are delivered anywhere in south Africa. 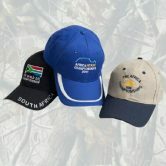 Our online store offers the opportunity to buy Proudly SA at every competetive prices. 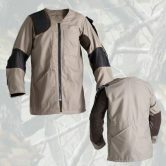 We further offer clothing for every day shooting, hunting, and competitions. Looking for personalised badges/club badges/ competition /prizes/ achievement badges/ etc, look no further. We do it all. 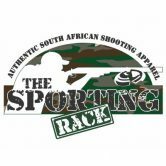 We are constantly updating our product line, however if there is anything that you would like to order and don’t see it on our web site please email us at sales@thesportingrack.co.za and we will source it for you. 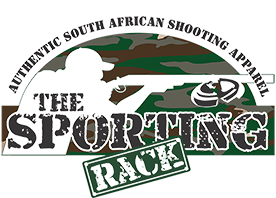 The Sporting Rack Copyright 2016. All Rights Reserved.